The first cohort in the online-only Master of Education in School Counseling degree graduated in May, solidifying the program as a successful addition to Salem’s Teacher Education offering. Salem College launched its first online-only degree program to meet the demand of individuals who work full-time jobs while continuing their education. The program is comprised of online classes, internship experiences, and two weekend seminars that are held on campus during the second year of the program. The degree requirements are crafted to be completed in a 36-month time frame and prepare students for work as a counselor in schools serving Kindergarten through 12th grade. 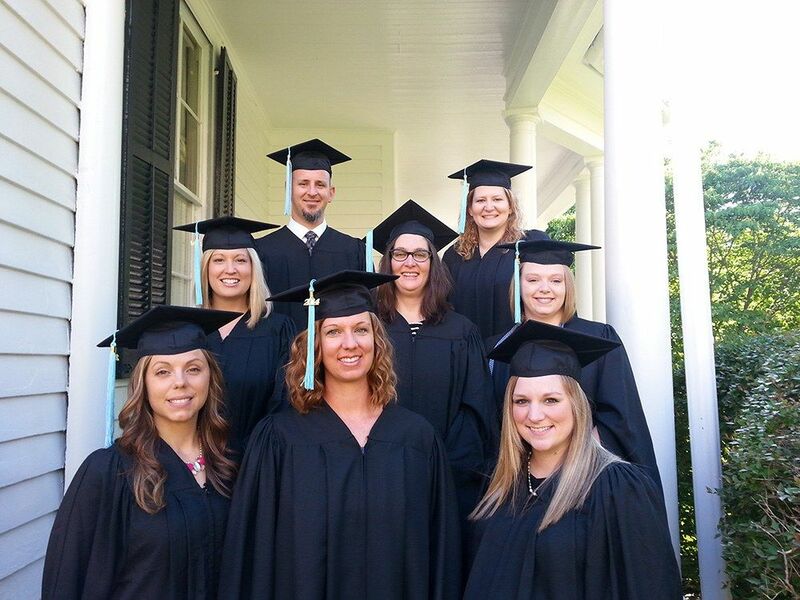 The inaugural class (pictured, right) includes Katarina Forsberg, Amanda Wilson, Katy Wogatzke, Kala Tobin, Catherine Pritchard, Beth Atkins, Miles Catlett, and Jessica Williams are pictured to the right. As Salem continues expanding its online course offerings and considering new degree programs for full online implementation, it joins other top educational institutions in providing accessible, adaptable education for all students. To learn more about the online Master of Education in School Counseling degree, please click here.